Ahhhh Gili Air, Indoensia…a magical little island nestled between Lombok and Bali. Picture white sand beaches, sandy roads, epic sunsets, tranquility, delicious fresh seafood, and astonishing snorkeling and diving. It’s tough to describe just how marvelous it really is, but I’ll do my best! 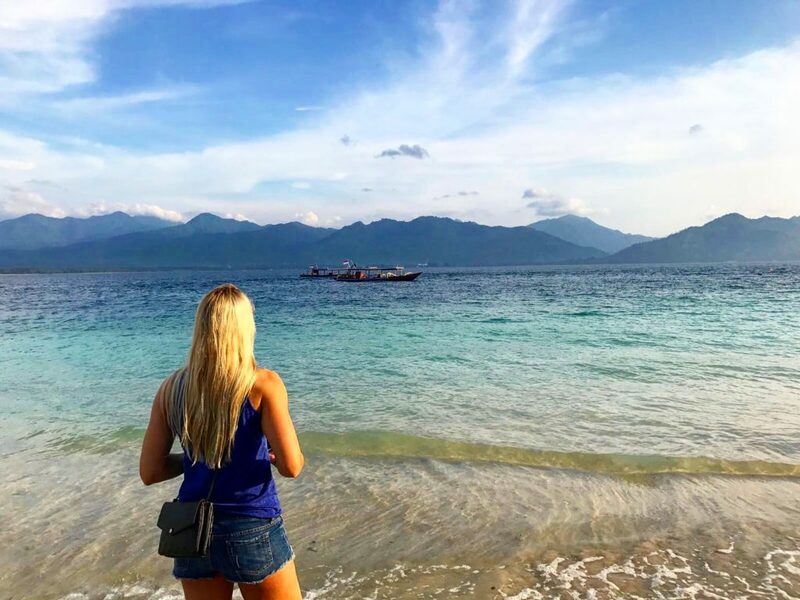 There are three Gili islands and we chose Gili Air because it is known to be much more relaxed than its neighboring party island, Gili Trawangan (which you should definitely go to if you want to party!). 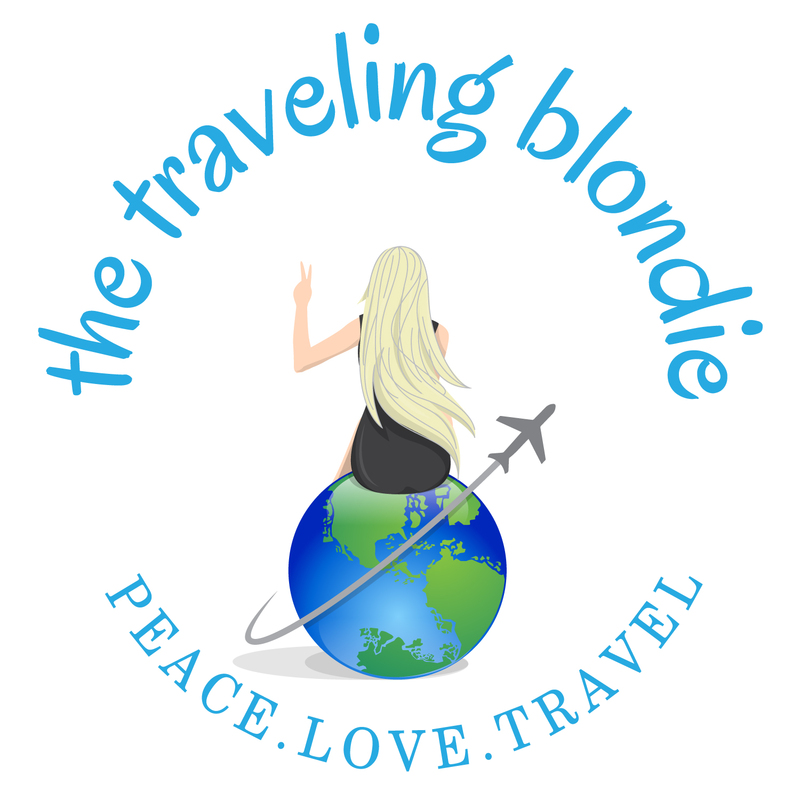 Looking For More Info About Bali & The Other Island Nearby? 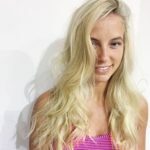 Check Out My Other Blog Posts! If you’re taking a late flight in, The Hilton Garden Inn Denpasar hotel has everything you could need, including a great buffet breakfast and gym. it’s also located just 5-minutes from the airport. Rates are $35USD/night. If you’re in need of storing your surfboards or suitcases for a day, week, month, etc. on mainland, then Bali Board Storage in Kuta (near Discovery Mall) is the BEST place around. We stored 2 suitcases and 2 duffel bags for the day for around $10USD. The owner is super friendly and they are really safe and reliable. 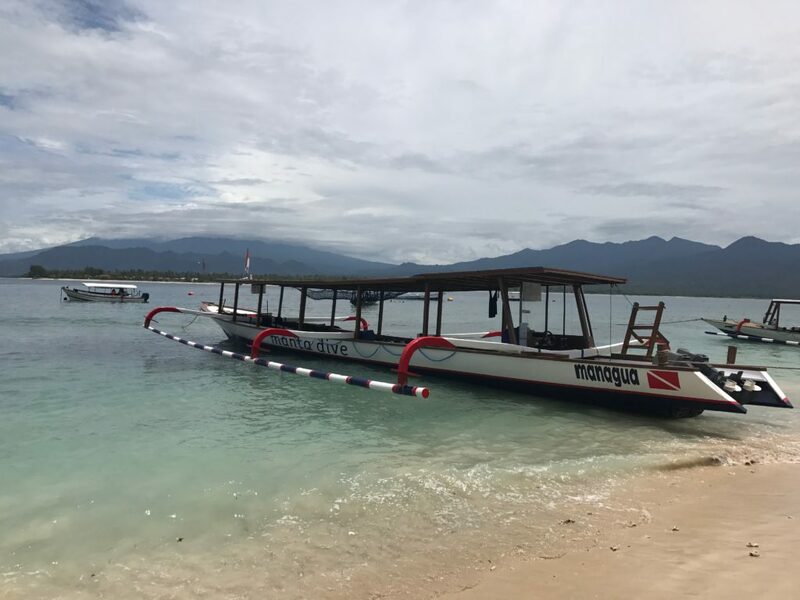 Getting to Gili Air is a bit of a task, but totally worth the trek. Option 1- Fly to Denpassar, Bali, then take a small, 50min flight to Lombok. Take a boat from Lombok to Gili Air. Option 2-Fastboat (our choice): From Denpasar, hire a driver for $280,000IDR ($21.00USD) to drive the 1.5 hour journey to Padangbai Ferry Terminal. The Fast Boat Ferry tickets are $29USD one way to Gili Air. Option 3- Public Ferry: The Public Ferry is a long journey, about 4-5 hours for about $40,000 ($3USD). 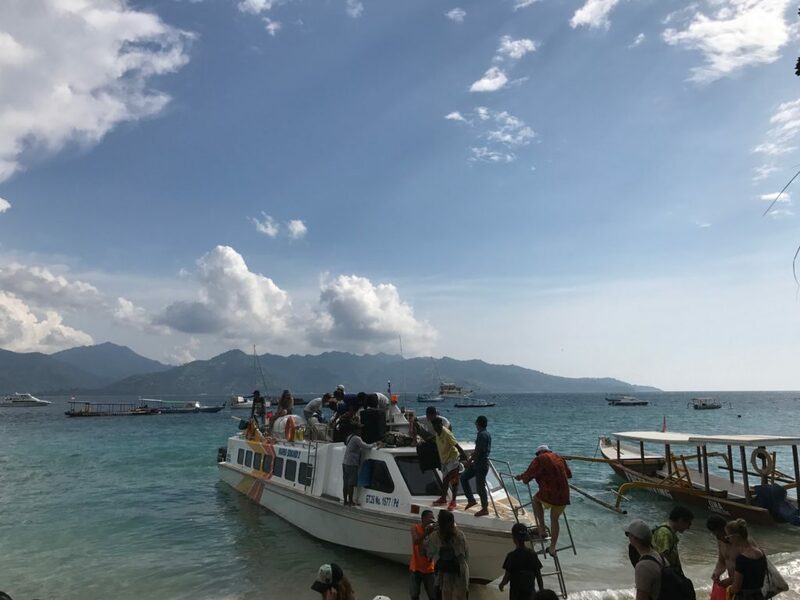 After you arrive in Lombok, you’ll then need to take another boat from Lombok to the Gili’s (10 minutes). 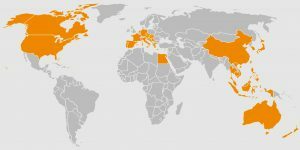 The entire island is easily ventured on foot. 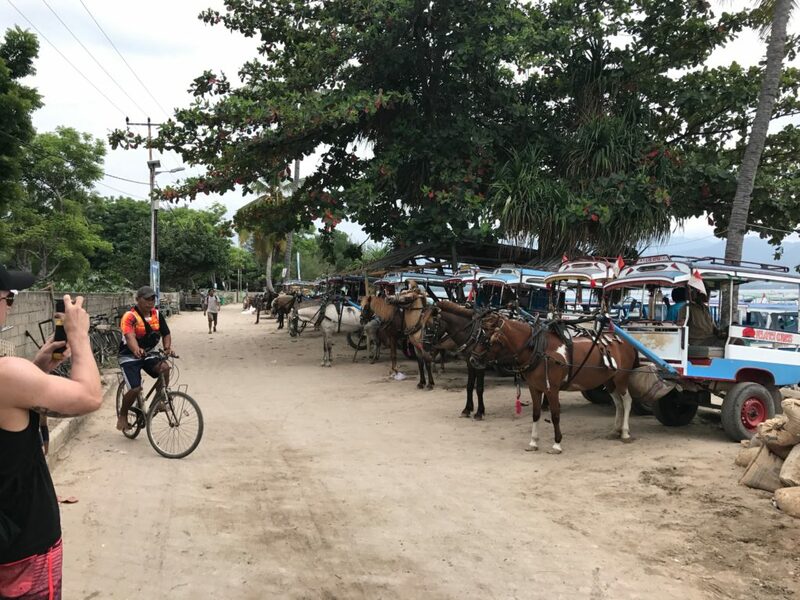 There are very few motorized vehicles on the Gili Islands (only a few scooters). Horse Carriage: $100,000IDR ($7USD) from ferry terminal to your accommodation (overpriced, in my opinion and just unethical for the horses). Riding in these carriages is quite terrifying…imagine the movie Gladiator, without Russel Crow. If you are able to walk, do it. Manta Dive is the best on the island! 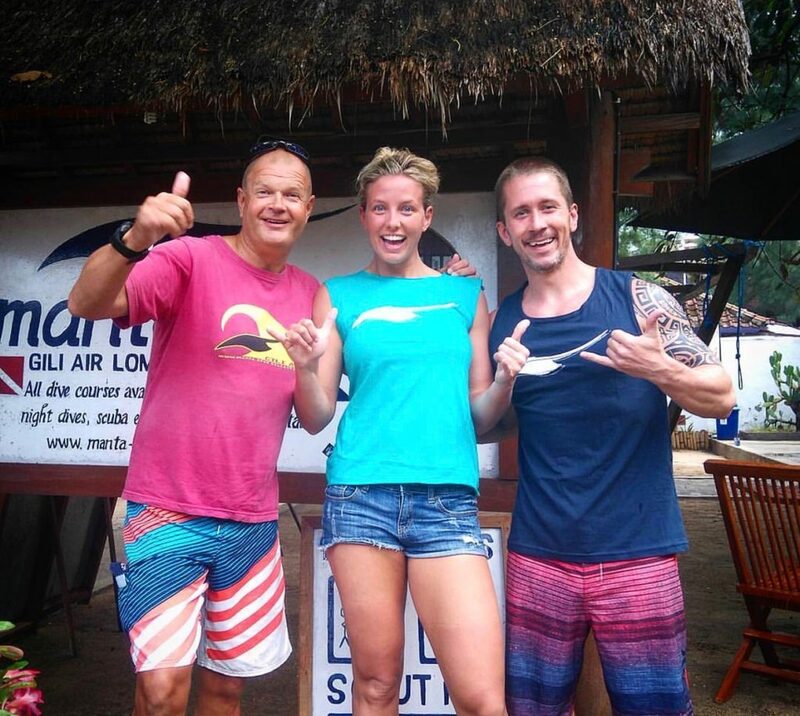 If budget permits and you want an AMAZING open water dive experience, then Manta Dive is the BEST place to stay and get your training. Of course, you can stay elsewhere and just take the course at Manta. 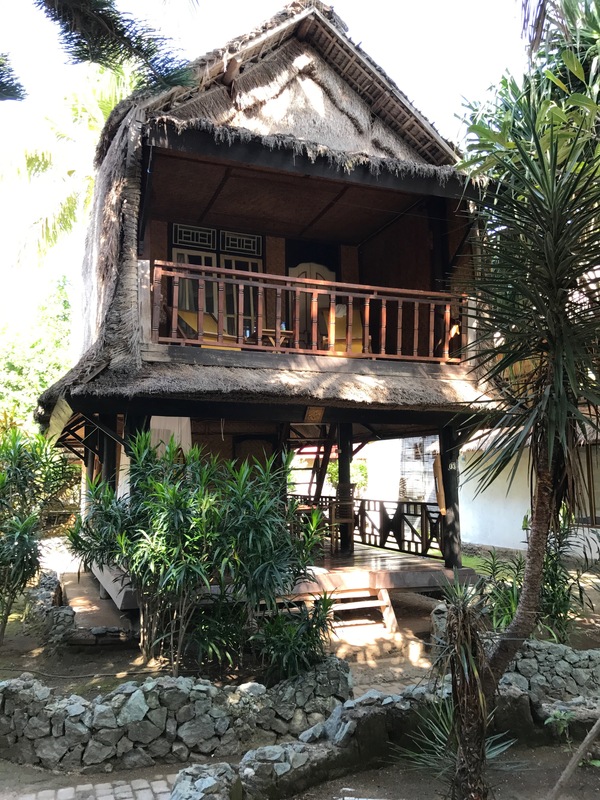 The rooms are modern, spacious, air conditioned, come with a safety box, have a partial open bathroom and the service is excellent. 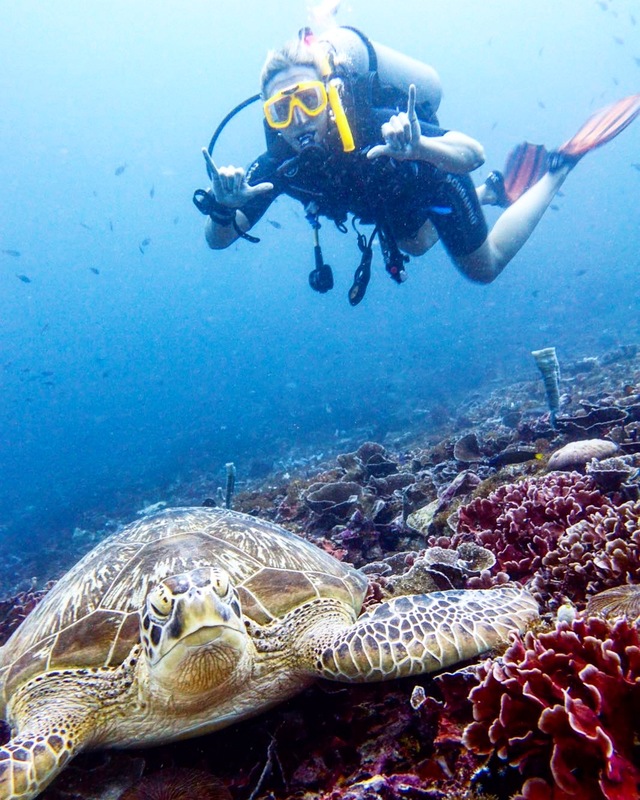 They offer packages that include the dive cert and accommodation for 4 nights, around $500USDpp. A 2-minute walk from Manta Dive, Sunrise Gili Air is much more cost affective at $45USD/night. The included breakfast buffet is great for the price. NOTE: They offer rooms/bungalows with/without aircon. Which Dive Certification: PADI or SSI? 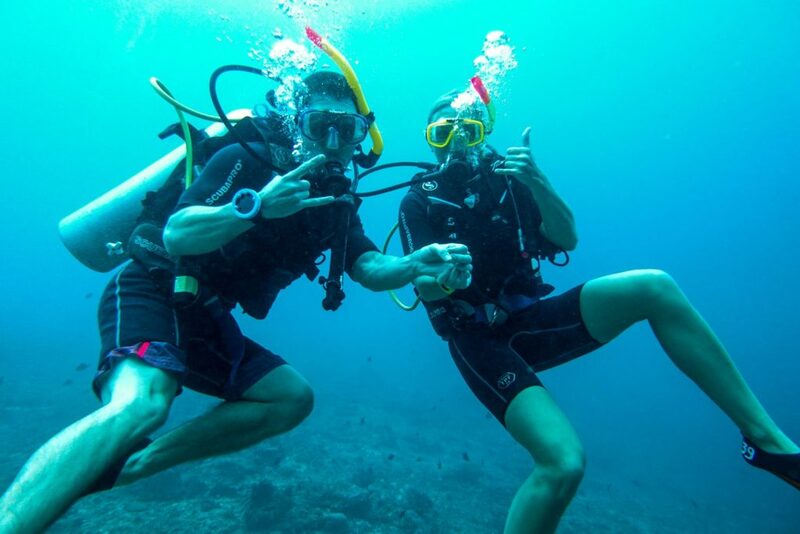 There are two different types of courses available in order to become a certified, open water diver, PADI and SSI. We chose SSI, because the instructors have more freedom to teach you the skills you need help on. 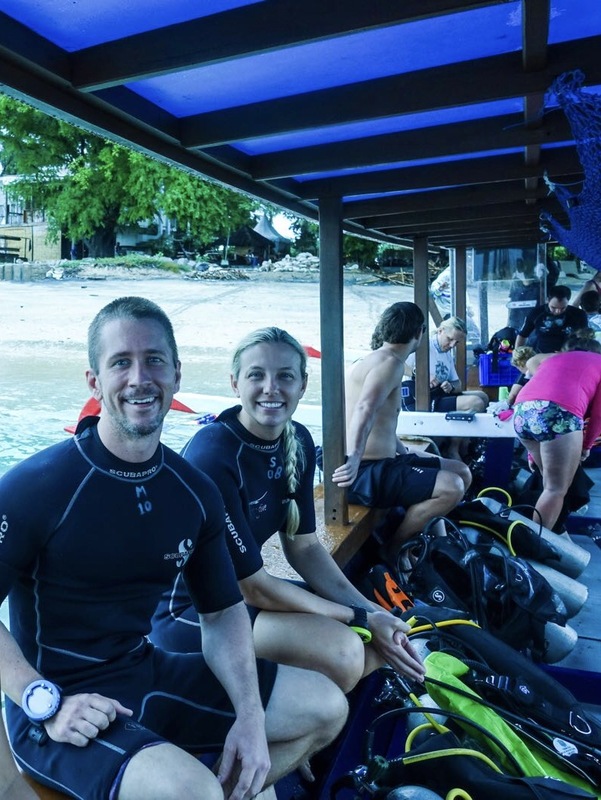 In PADI, the curriculum is much more strict and, if you haven’t mastered step A, you cannot move onto step B or step C.
For example: I had no issues with many parts of the course, except clearing my facemask underwater. If we took PADI, I wouldn’t have been able to move on to the second open water dive, without first mastering that skill. With SSI, I was able to do the second open water dive and my instructor had the freedom to practice that specific skill with me so I could be comfortable and master it. Thus, SSI was the best fit for us because of the freedom in the curriculum. I have no words to describe the first time I saw a sea turtle underwater! Josh And I With Our Dive Master, Kimo, he was awesome! The Dive Boats are awesome! Manta Dive has the BEST reputation overall and the deepest pool on the island, at 3 meters deep (10feet), which helps a LOT with training. Our instructor, Kimmo, was ABSOLUTELY incredible! He was extremely knowledgeable, patient, kind and you could tell he really enjoyed his job. We had such an amazing experience with this course because of him. Josh and I on one our first dives! If you’re hesitant about diving, put your fears aside and take the open water dive course. I can honestly say that I was super scared at many times in the deep ocean, but the more I gained experience, the more comfortable I felt. There’s a whole beautiful world under the sea! We saw beautiful sea turtles, clownfish (Nemo!) and many other colorful fish and wildlife! My only regret is not doing the certification sooner and diving in all the amazingly beautiful place Southeast Asia has to offer! 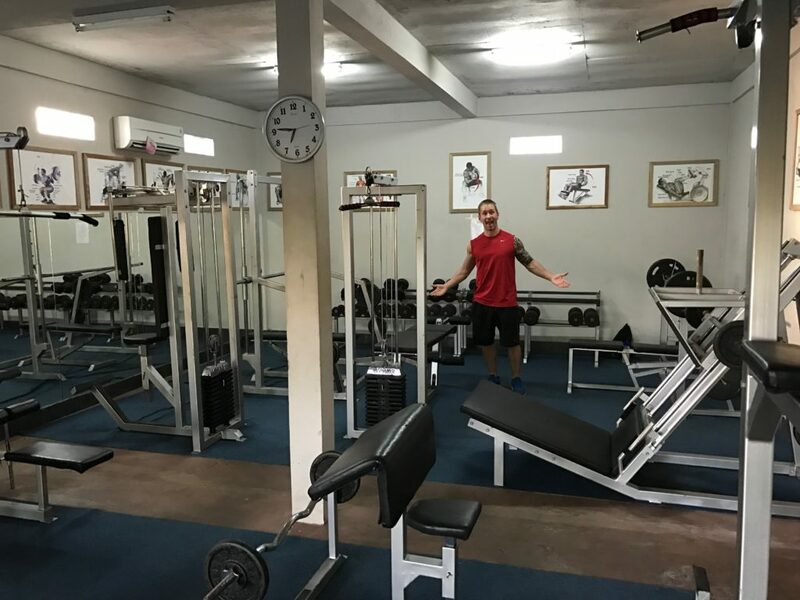 Holiday Fit Gili Air was surpassingly a descent gym, compared to many that we found all over Asia. The equipment is dated but the gym is clean and you get a free bottle of water and cold, scented towel with each entry. 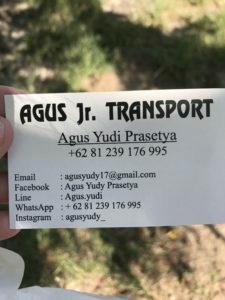 How To Get There: Located on the east side of the island, follow the main road until you get to Gita Gili and there will be a small sign signaling you to go down a back road. Follow this road about 5-minutes and you’ll see Holiday Fit on your left. Hours are 7am-10pm daily and the cost per entry is $50,000IDR/day ($3.75USD) or $150,000IDR ($12USD) for 1-week. 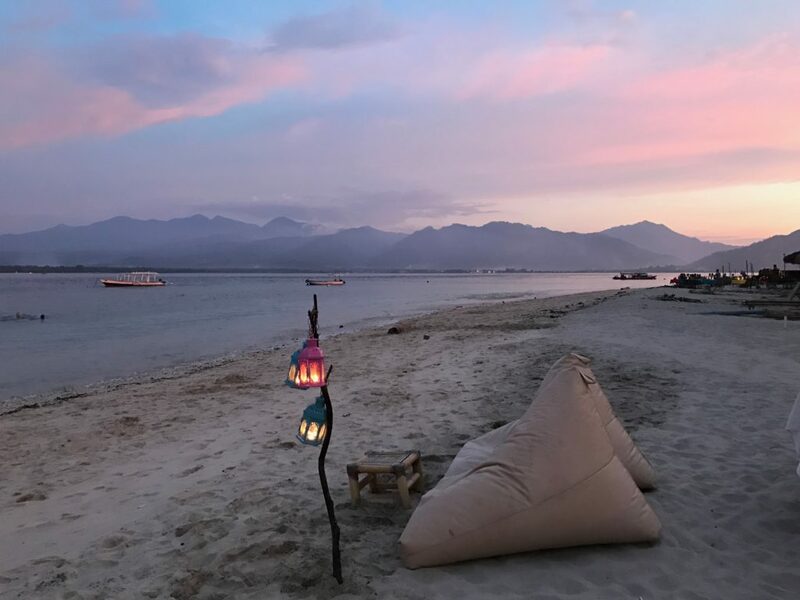 Sunsets in the Gili’s are breathtaking! Mowie’s Gili Air is about a 15-minute walk from Manta, this is the BEST spot to watch the sunset. Be sure to go early (1++ hour before sunset) to get a good table. 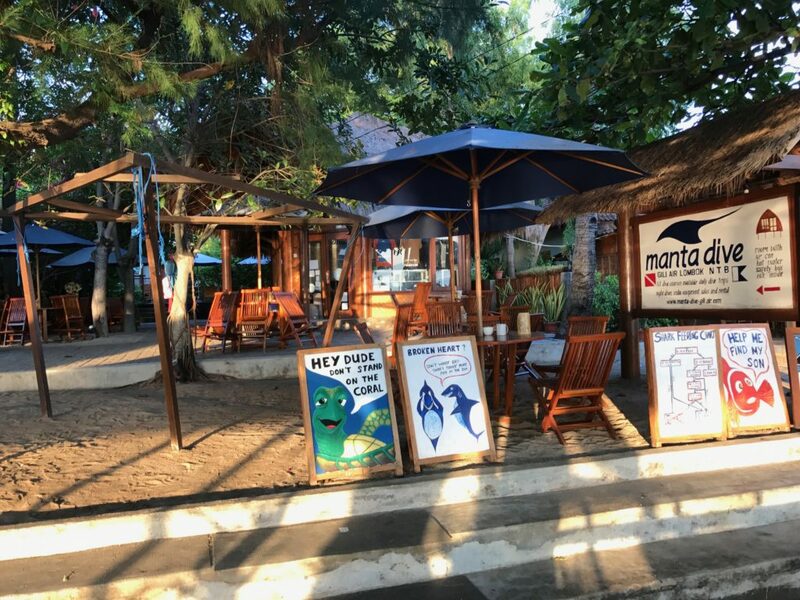 Located beach side in front of Sunrise Gili Air, this place was our favorite on the island for food/drinks. Get the tuna steak, it’s delicious! Who doesn’t love a happy hour of buy one get one free? 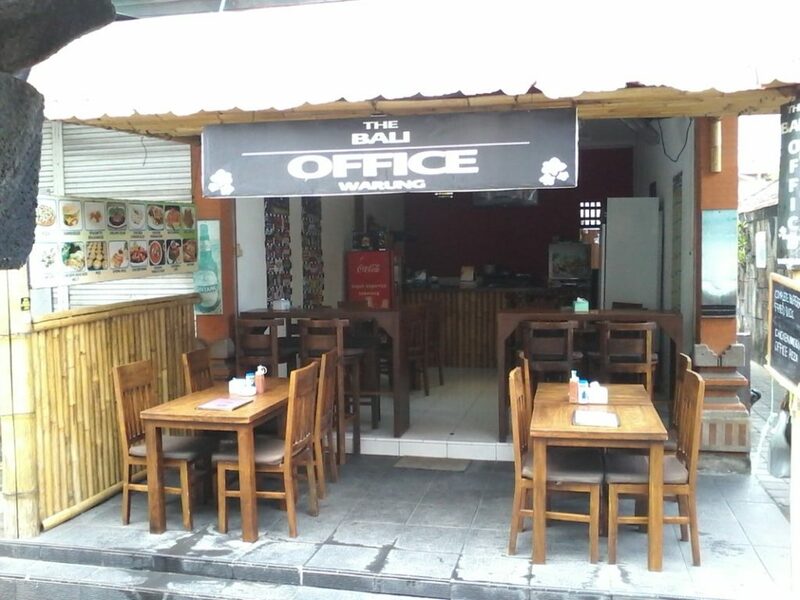 Chill Out Bar Gili Air also has a huge menu, which includes cuisines from all over the world. 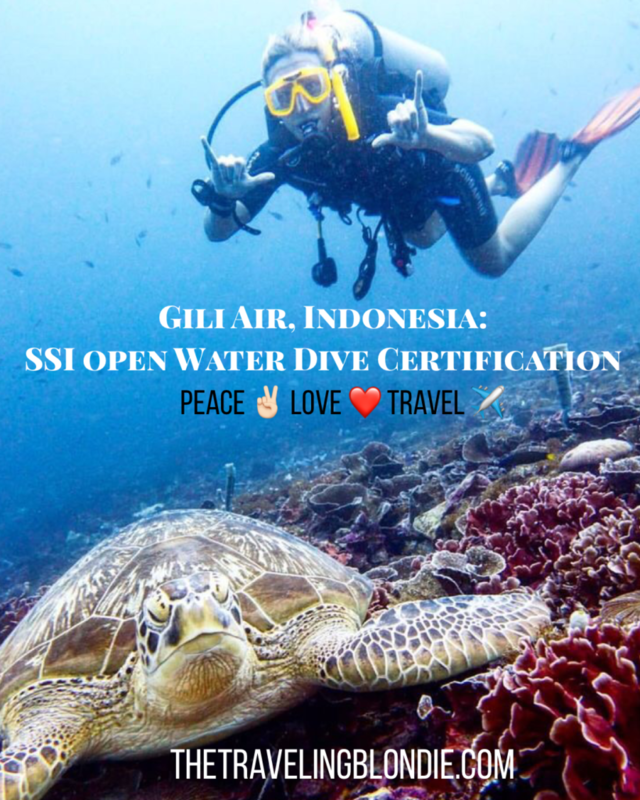 Check Out Our Video From Gili Air, Amed & Jimbaran, Bali!